This is a platinum ring with a GIA certified 1.20 Carat E VS2 Cushion-cut center diamond that sparkles as bright as a star in a pitch black sky. 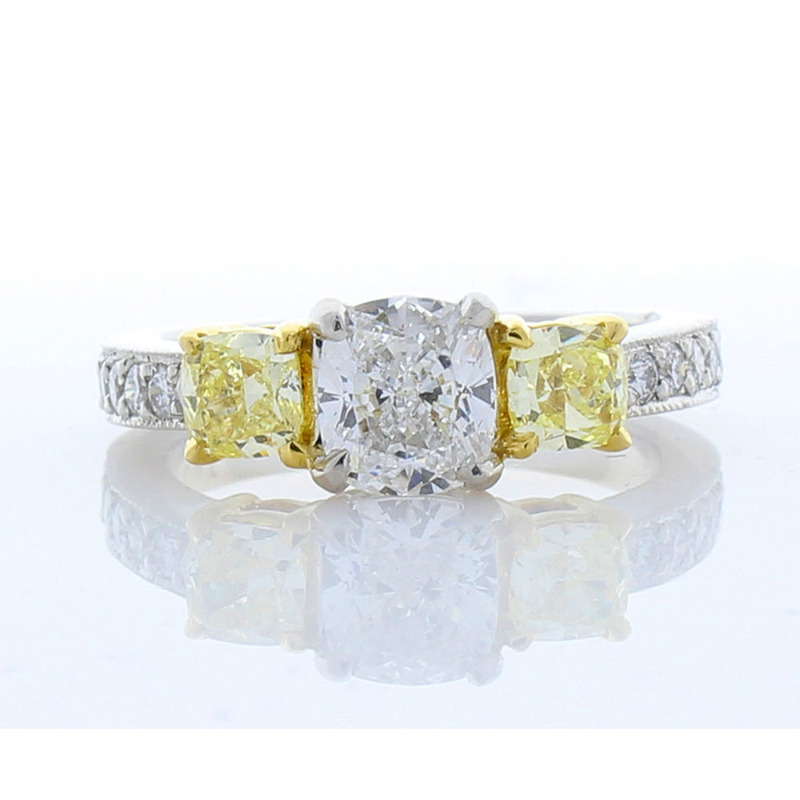 The center is hugged by two lemon-yellow diamonds and other sparkling white diamond accents bring the diamond total to 2.08 carat total. This jaw-dropping ring features a little bit of sassy with a while lot of class.